In Cerretto, we have about 50 hectares of forest, field, and groves of hazelnut trees recently planted, along with a large, fenced-in truffle bed. Here, the cottage of the Azienda Agricola is located with its park and its gardens. The small community of Ronchetto has a large grove of hazelnut trees in production. Our hazelnut trees grow in the small community of Le Prato, both those in production and saplings. 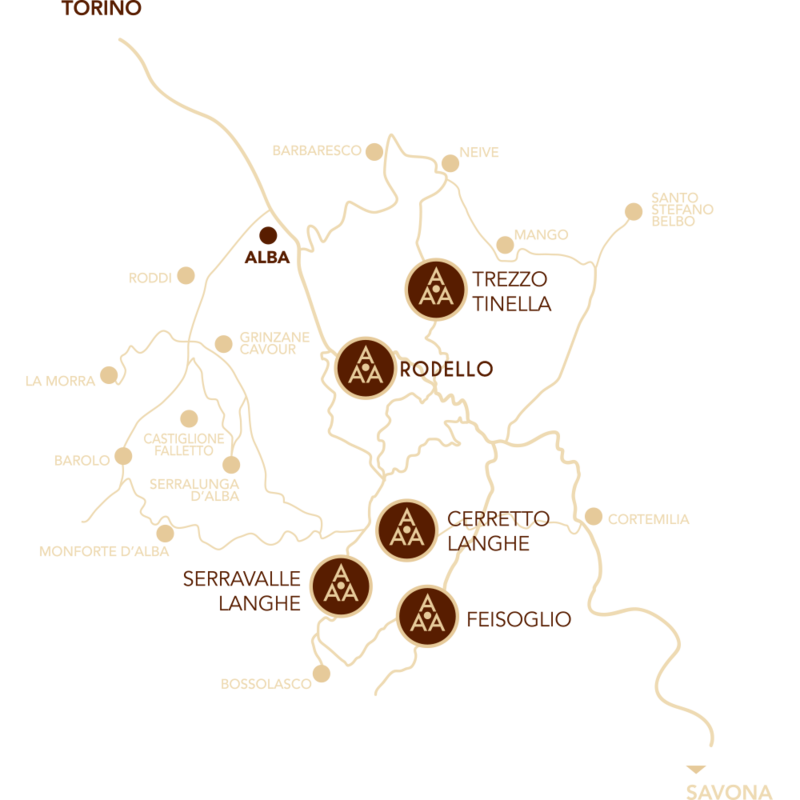 Trezzo Tinella is the only town in the Alta Langa that belongs to the production discipline of Moscato d’Asti. Here, we cultivate Moscato grapes as well as hazelnut trees in production, and have fields ready for planting hazelnut saplings.